We are delighted to have won the top award at the Museums and the Web conference's Best of the Web 2015 awards with Art Detective, created for the Public Catalogue Foundation. Our website won not only in the Museum Professional category, but also was the overall winner of the day. Winning this prize means following in the footsteps of the Brooklyn Museum, Indianapolis Museum of Art and Rijksmuseum. Excitingly, it is the first time a UK institution has won the overall prize since 2009 and this year's competition was particularly strong, with fantastic projects from Tate, National Portrait Gallery, the V&A and many more. Art Detective was launched in April 2014. It provides a new approach in helping art collections around the UK find out missing information about their artworks. It does this through encouraging debates and discussions about pieces of art between experts and the general public. Contributors have so far included everyone from art traders to curators. Together, they have already made over 40 exciting discoveries through discussions anyone can join. 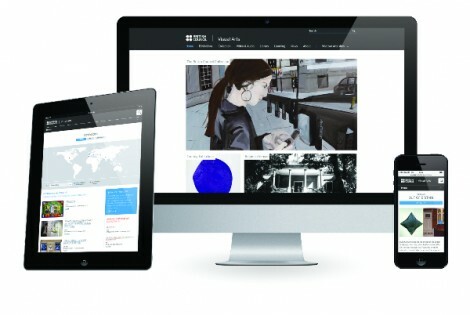 Art Detective was designed and built by Keepthinking using the Qi Content Management System. The website is part of the wider Your Paintings ecosystem, which includes Tagger and the Your Paintings Collections Management System (Qi). We are also very proud that our British Council Visual Arts website won an honourable mention in the Long Lived category. A museum without walls, the British Council Visual Arts website is a global space allowing virtual visitors to explore artists, exhibitions and other British Council activities, all managed with Qi. It was originally created in 2006, before being relaunched in 2011 and redesigned in 2014. The Best of the Web is an annual contest celebrating internationally outstanding digital work in the museum sector. Held as part of the Museums and the Web conference, the awards have ten categories and one overall winner. More information about the awards and other fantastic nominees can be found on the conference website.